In time, Minnesota blossomed into a strategic and important location for many railroads. Most sought entry into the Twin Cities of St. Paul and Minneapolis while agriculture abounded throughout the state. At its peak there more over 9,000 route miles blanketed its lands, served by names like the Minneapolis & St. Louis; Great Northern; Northern Pacific; Chicago, Milwaukee, St. Paul & Pacific (Milwaukee Road); Minneapolis, St. Paul & Sault Ste. Marie (Soo Line); Chicago, Burlington & Quincy (Burlington); and Chicago & North Western. As other transportation modes gained favor, particularly trucks and automobiles, several routes, or segments thereof (notably secondary, light density branch lines), were abandoned. Today, Minnesota contains less than half its all-time high in mileage although many organizations have sprang up over the years to tell its rich history with trains. Two noteworthy include the North Shore Scenic Railroad and Minnesota Transportation Museum, the latter of which also operates the Osceola & St. Croix Valley Railway. Please note! 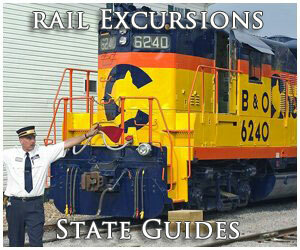 The guide here pertains only to Minnesota train rides related to vacation and tourism destinations. If you are interested in intercity/long distance rail travel please visit Amtrak's website. Minnesota's first railroad actually put into operation was the St. Paul & Pacific. According to the book "The Great Northern Railway, A History" by authors Ralph W. Hidy, Muriel E. Hidy, Roy V. Scott, and Don L. Hofsommer, this system began as the Minnesota & Pacific Railroad Company (M&P), formed on May 22, 1857. To help procure financing it was provided land grants in an effort to link Stillwater, along the St. Croix River, with the Missouri River at the Minnesota Territory's western boundary. Along the way it would connect St. Paul, St. Anthony, and Minneapolis. There was also a branch line envisioned to run from St. Anthony to St. Vincent, via Anoka and Crow Wing. The M&P initially had strong support and grading began between St. Paul and St. Anthony that same year. However, interest soon cooled and the endeavor foundered. It needed 10 miles completed to receive additional state bonds but its outlook appeared bleak. The company's first locomotive, the 4-4-0 William Crooks (named for the railroad's chief engineer) arrived on the steamboat Alhambra in St. Paul on September 9, 1861. It was soon complemented by another 4-4-0, the Edmund Rice, that arrived only weeks later. Things finally got back on the track when the state legislature (Minnesota officially joined the Union on May 11, 1858) disbanded the Minnesota & Pacific and transferred all rights to the new St. Paul & Pacific Railroad following the act of March 10, 1862. The StP&P, picking up where the M&P left off, worked quickly and completed the St. Paul-St. Anthony line only weeks later. The William Crooks pulled its first train on June 28, 1862, earning the railroad distinction as Minnesota's first put into service. The state's rail mileage would eventually grow to over 9,100 by the 1920's, according to John Stover's book "The Routledge Historical Atlas Of The American Railroads." It was served by those companies previously mentioned in addition to the Duluth, Missabe & Iron Range Railway. The DM&IR moved an abundance of iron ore from the state's rich Mesabi and Vermilion Ranges, located north of Duluth. 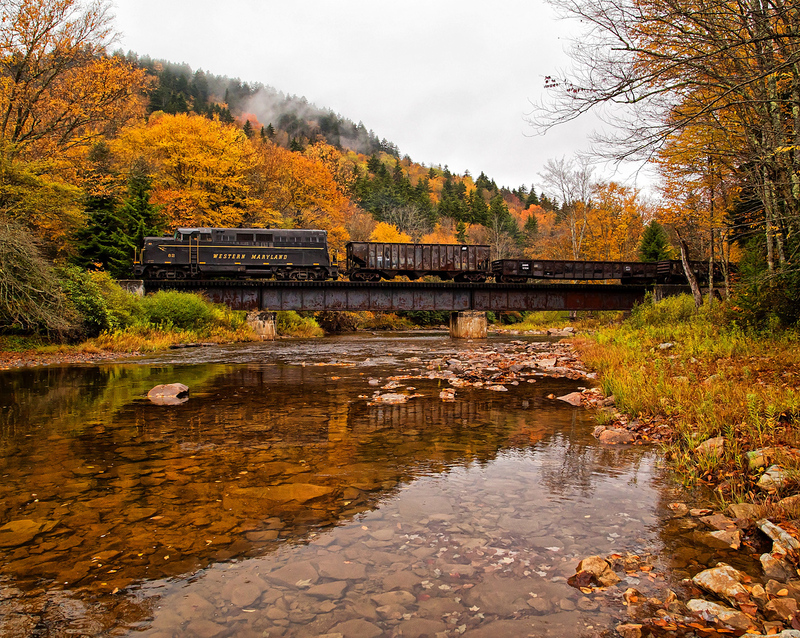 Today, the North Shore Scenic Railroad keeps alive the DM&IR's history and offers visitors many excursion options, from dinner trains to trips pulled by steam locomotives. If you enjoy trolleys, consider visiting the Como-Harriet Streetcar Line near the Twin Cities. They operate as both a museum and light-rail-transit system, providing riders a journey aboard historic trolley cars around the popular Chain of Lakes area. The Minnesota Streetcar Museum (formed in 2005), based in Excelsior operates excursions on a half-mile stretch of the former Minneapolis & St. Louis Railway right-of-way. 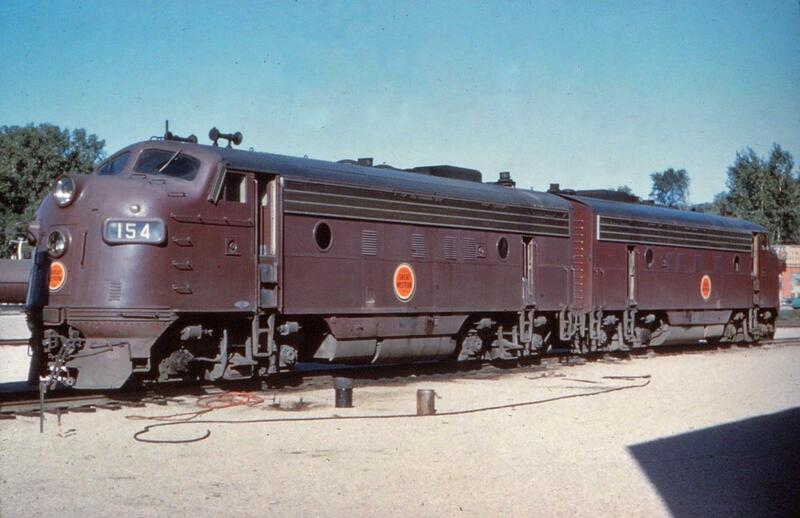 The M&StL may have been the smallest classic granger but perhaps best typified Midwestern railroading. The so-called Peoria Gateway was only a few hundred miles in length, and relied heavily on agricultural in a region already dominated by much stronger carriers. Despite eroding business after World War II, a sea of competitors, and a stagnate customer base, the M&StL somehow remained profitable right up until its acquisition by Chicago & North Western in 1960. The Tootin' Louie's history began in earnest shortly after the Civil War to serve flour mills in a young Twin Cities. The railroad eventually expanded to the south and west although never reached markets larger than Minneapolis/St. Paul. The museum operates along the Twin Cities' popular Chain of Lakes recreational area that draws thousands of visitors annually, particularly during the summer months. They currently have five streetcars in service. As its name implies this museum is housed inside the town of Two Harbor's restored Duluth & Iron Range brick depot, opened in 1908. They have a large collection of historic displays on-hand as well as a small fleet of rolling stock, which includes Duluth & Iron Range 2-6-0 #3 (Built by the Baldwin Locomotive Works in 1883, it was the only "Mogul Type" the railroad ever-owned. Its fleet primarily consisted of 2-8-0's and 4-8-0's while larger 2-8-2's arrived after 1913. 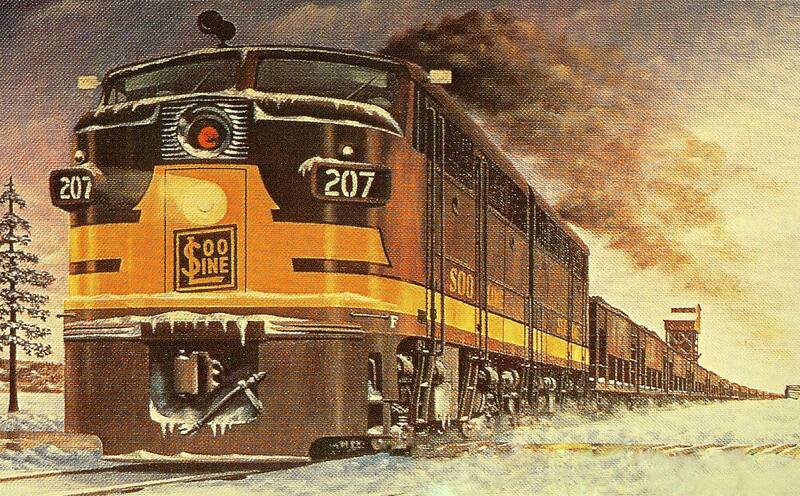 The D&IR merged with the Duluth, Missabe & Northern in 1937 to form the Duluth, Missabe & Iron Range.) 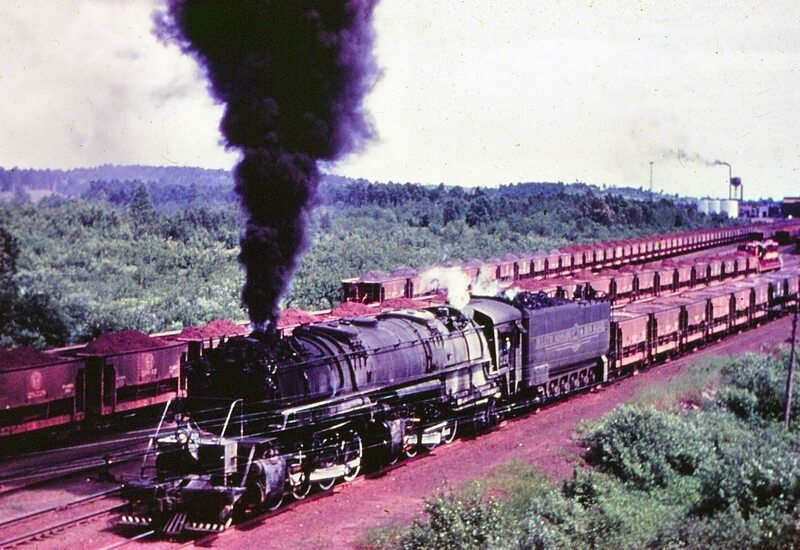 and Duluth, Missabe & Iron Range 2-8-8-4 #229 (Listed as a Class M-4, this mammoth "Yellowstone Type" was the largest example ever owned by the modern DM&IR. It was built by Baldwin in 1943. Altogether, the railroad owned a total of eighteen examples, #220-237.). The depot museum is part of the larger Lake County Historical Society complex that includes the Edna G. Tugboat (also formerly owned by the DM&IR! ), 3M Museum, and Two Harbors Light Station. The End-O-Line Railroad Park and Museum is located in Currie, Minnesota and keeps alive its railroad history. At one time the small community, which now contains fewer than 300 residents, was served by a long, agricultural branch of the Chicago, St.Paul, Minneapolis & Omaha (the Omaha Road was acquired by the Chicago & North Western in November, 1882), which extended from its main line at Bingham Lake. Along the way it reached other small communities like Jeffers, Storden, and Westbrook. The line was abandoned during the 1960's. Among the museum's collection is Currie's original wooden depot (which has been lovingly restored) and turntable. In addition, there is a C&NW water tank on site (moved from Walnut Grove) and a two-story section foreman's house that originally sat in Comfrey. While there be sure and see two preserved steam locomotives; Denver, South Park & Pacific 2-6-0 #13 (built by Baldwin in 1875 it is displayed indoors) and Georgia Northern Railway 4-6-0 #102 (built by American Locomotive in 1923, on display outside). This historical society has preserved a former Great Northern wooden depot in Willmar, originally located in Kandiyohi. The building's main purpose is to house a library collection and several exhibits. The GN was one of America's great railroads, the project of fabled tycoon James J. Hill. The legendary "Empire Builder" pieced together a system of more than 8,000 miles, all of which began by purchasing the small St. Paul & Pacific. The GN linked Duluth/Superior with Seattle, running via North Dakota, Montana, and Idaho. It also operated a long branch into Northern California. Hill went to great lengths to ensure strong, infinite volumes of freight for his railroad. 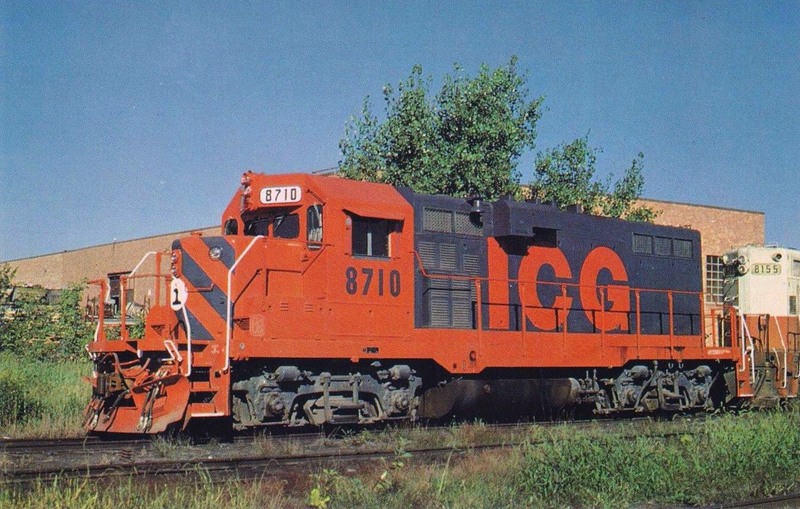 After its only bout of financial hardship during the Great Depression, the Great Northern rebounded strongly until it was merged into the new Burlington Northern, Inc. (BNI) on March 2, 1970. Along with railroad artifacts the museum features displays relating to military and agricultural history among others. Finally, it houses preserved Great Northern 4-8-2 #2523 (Class P-2) under-shed, built by Baldwin in 1923. The Lake Superior & Mississippi Railroad, overseen by the Lake Superior Transportation Club, is based in Duluth and operates on trackage originally built by a company of the same name, later acquired by Northern Pacific. The NP is credited as the first transcontinental railroad completed into the Pacific Northwest when it opened a through route from Duluth/Superior to Tacoma, via the Twin Cities. At first, it appeared it would be built without difficulty as noted banker Jay Cooke secured several million dollars in financing (this individual also owned the original Lake Superior & Mississippi which completed a route from Duluth to St. Paul in 1870). However, fortunes soon turned and it seemed unlikely the project would ever be finished. In time, several individuals stepped forward and oversaw its completion, thus establishing the first through, direct route to the Puget Sound. After 1900, fabled tycoon James J. Hill gained control and the NP joined his so-called "Hill Lines." 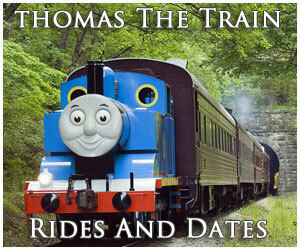 Today, the organization offers train rides that last about 1.5-hours with charters available for large groups. This museum, located in Duluth at the town's beautifully restored stone/brick Union Depot (located at 506 West Michigan Street and 5th Avenue West, it was opened in 1892 serving the modern Duluth, Missabe & Iron Range; Duluth, South Shore & Atlantic [Soo Line]; Great Northern; and Northern Pacific), is the state's largest such facility featuring an impressive display of artifacts, exhibits, and rolling stock on the premises. The organization also has several steam locomotives preserved, eight in all. One is operational, Duluth & Northeastern 2-8-0 #28, manufactured by American Locomotive's Pittsburgh Works in 1906. 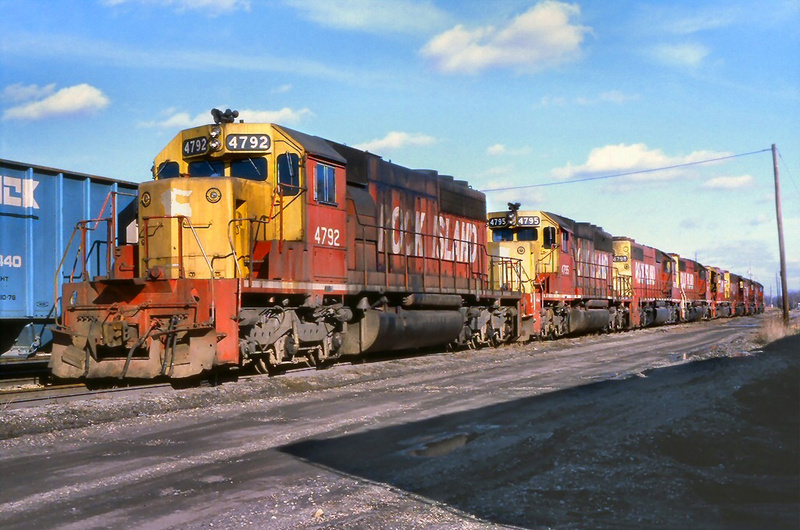 Their diesel collection is also magnificent, some of which include Soo Line FP7 #2500, Great Northern NW5 #192, Erie Mining F9A #4211, and Northern Pacific SD45 #3617. Finally, they home to the popular North Shore Scenic Railroad. The museum is open throughout much of the year and certainly worth the visit! 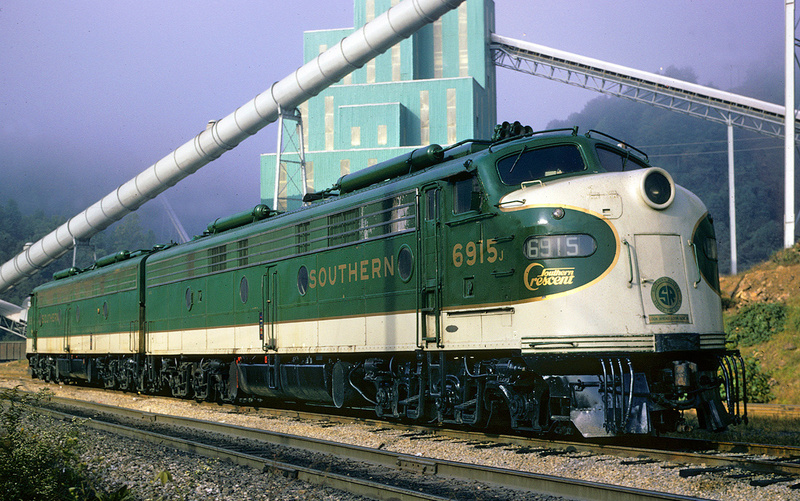 This famous locomotive partakes in excursions, sometimes ahead of Amtrak trains, throughout the Midwest annually. Its home is Minneapolis where the big steamer is lovingly maintained by the Friends of the 261 group. To learn more about the locomotive please visit the Friends' website by clicking here. Part of the Minnesota Transportation Museum is this former Chicago, Milwaukee & St. Paul (Milwaukee Road) wooden depot completed in 1875 that served the community of Minnehaha Falls, Minnesota, located south of Minneapolis near the Mississippi River. Trains no longer traverse past the station but it has been lovingly restored. The marker next to the building reads: "Milwaukee Road station agents affectionately referred to the quaint little Minnehaha Depot as 'the Princess.' Its delicate gingerbread architecture is reminiscent of the Victorian era when ladies in bustles and gentlemen in high collars traveled largely by train. The first track connecting Minneapolis with Mendota was laid in 1865 by the Milwaukee Central Railway, the predecessor of the Chicago, Milwaukee and St. Paul Railway. The Princess was built by in the mid-1870's to replace a smaller station here. Throngs of picnickers and sightseers took the sixteen minute ride from Minneapolis to Minnehaha Park and the old Longfellow Gardens Zoo. While others traveled to and from Fort Snelling and Mendota. In 1910 three trains made thirteen round trips daily to the depot. It was the scene of feverish activity during World Wars I and II because of the military traffic in and out of Fort Snelling. The Milwaukee Road closed the station in August, 1963 and presented it to the Minnesota Historical Society in 1964. The Minnesota Transportation Museum, Inc., an affiliate of the society, has undertaken the restoration and maintenance of the depot." The North Shore Scenic Railroad is part of the Lake Superior Railroad Museum and is the state's most popular. 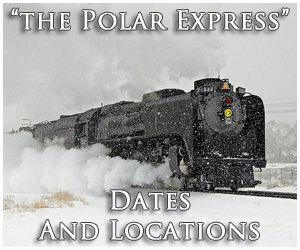 The 26-mile route was originally part of the Duluth, Missabe & Iron Range and today the railroad hosts train rides using both steam and diesel locomotives, along with featuring special trains and events throughout the season. For more information please click here to visit the museum's listing. Based out of Osceola, Wisconsin, right along the border with Minnesota, this tourist railroad is operated by the Minnesota Transportation Museum with a typical operating season running between May and October. Their longest excursion hosts a 20-mile round trip with train rides lasting nearly two hours. 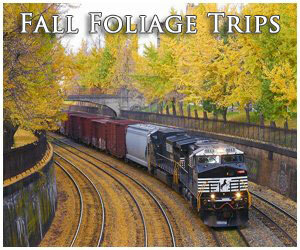 They offer a wide range of special holiday excursions and brunch/dinner trains. Also, be sure to visit the museum which has a large collection of historic railroad items, buildings, and rolling stock on display. Among these include three preserved steam locomotives, all of Northern Pacific heritage; 4-6-0 #328 (listed as Class S-10 it was manufactured by the Rogers Locomotive Works, then a division of American Locomotive, in 1907), 4-6-2 #2153 (listed as Class Q-3 it was manufactured by Baldwin in 1909), and 4-6-2 #2156 (a sister to #2153, it was also built by Baldwin in 1909). This museum, located in Wadena, is housed inside the Northern Pacific's restored brick depot completed in 1915. Inside there are exhibits and historic displays while tours are also given of the premises. Finally, there is a gift shop (even wireless Wi-Fi internet connections are available!) and the group continues its restorations on the property. They are open from late May through September. To learn more about the museum and visit the location please visit their website. This group, which dates back to 1940, is located in rural town of Rollag in western Minnesota. Since Labor Day Weekend, 1954 these local farmers, and others from near and far, come together to feature demonstrations of steam-powered contraptions, including locomotives, tractors, and automobiles. Their railroad pieces include a pair of former Detroit Terminal Railroad 0-4-0T's, #5 (used as parts) and #3, both of which were manufactured by the H.K. Porter Company. Their star attraction is Minneapolis, St. Paul & Sault Ste. Marie (Soo Line) 0-6-0 #9 which offers train rides on the grounds (listed as Class B-4 during her days in service, the beefy little switcher was built by American Locomotive's Brooks Works in 1920). Today, the annual event runs all weekend, with activities lasting from Friday through Sunday. To learn more please visit their website.